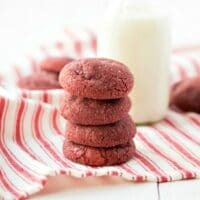 These red velvet cookies are an easy, homemade soft cookie recipe that you’ll love! I love a good cookie recipe. I’m all about homemade cookies and love trying out new mixes from scratch. I was so excited when a friend brought me some red velvet cookies last month, but to say they were disappointing would be understating it. I wasn’t in love with how the bakery made them. There was something missing from the batter. It lacked pizzazz. I wanted to come up with an amazing red velvet cookie recipe to satisfy that unmet expectation – and I think I did. 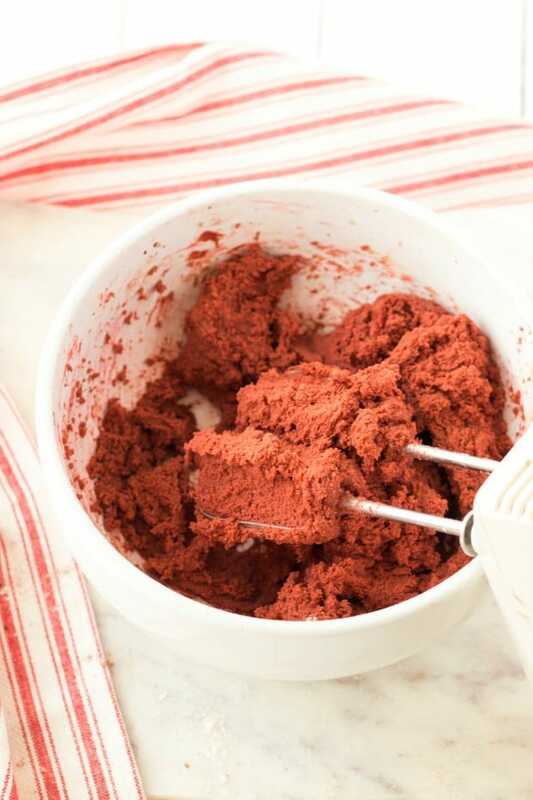 If you love red velvet as much as I do, you will also want to check out my no churn Red Velvet Ice Cream recipe — it’s made with real chunks of red velvet cake and cream cheese sprinkled throughout the batter. 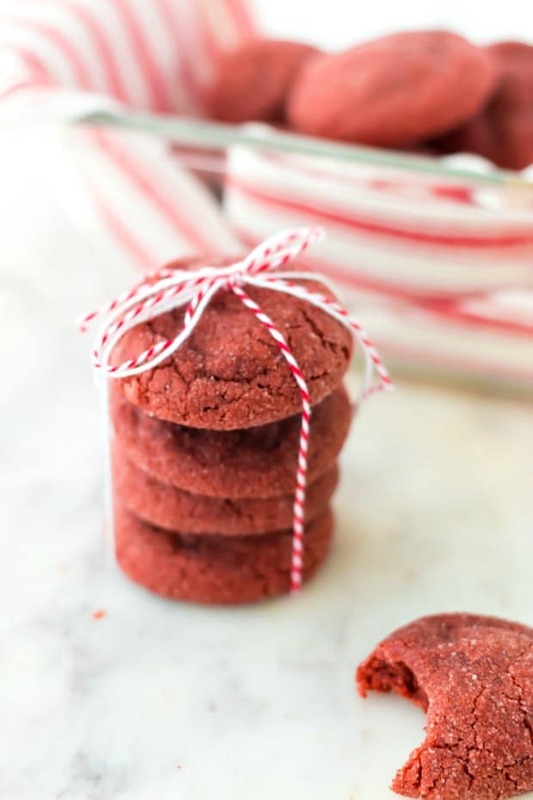 These red velvet cookies have a crackled, crunchy exterior with a soft, chewy, moist interior. The chocolate flavor is rich and well-developed — which is not always the case when it comes to red velvet anything. They get their rich red flavor from food coloring, but I have used natural food coloring as well, as I did with these red velvet cupcakes. Can you guess what I used to get them naturally red? When testing, we topped a couple of the cookies with some cream cheese frosting, but I much preferred having these without the frosting for ease and so they could stay outside of the fridge — allowing the outsides to stay crunchy rather than going soft in the fridge. Instead, I dusted mine in white sugar for a bit of glitz and just a hint of sweetness. Combine flour, cocoa powder, cornstarch, baking powder, and salt in a bowl. Then set aside. Blend the sugar and butter on medium speed with a mixer until light and fluffy, about two minutes. Add the egg, blend completely, then the vanilla, red food coloring, and vinegar. Add the flour mixture into the wet mixture slowly, incorporating fully. Cover with plastic wrap and refrigerate the mixture for at least an hour or overnight. 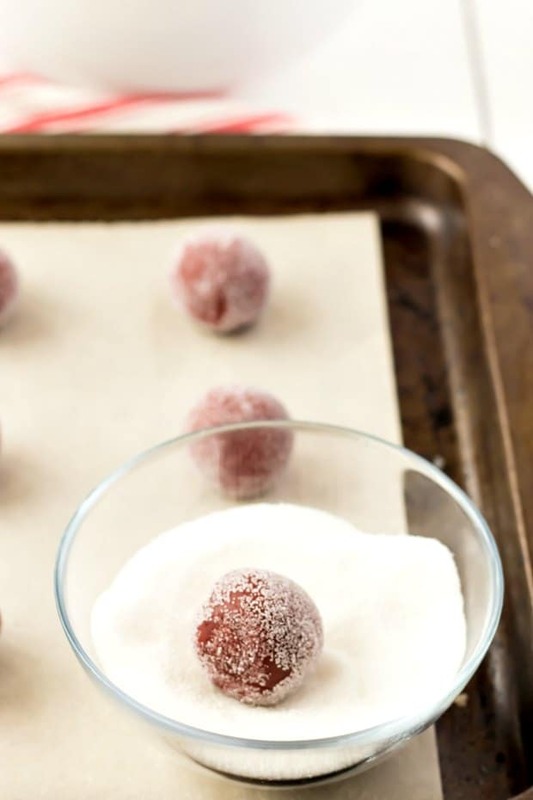 Roll the red velvet cookie dough into tablespoon-sized balls and roll in a small bowl of white sugar to dust. Preheat oven to 375°F. Place the cookie dough balls on a lined baking sheet and bake 8-12 minutes until spread and slightly firm to the touch. Remove from the oven, cool on the baking sheet for about a minute, and then remove to a cooling rack. These red velvet cookies are a great option for parties, being that perfect balance of fun for the kids and tasty for the grown-ups. 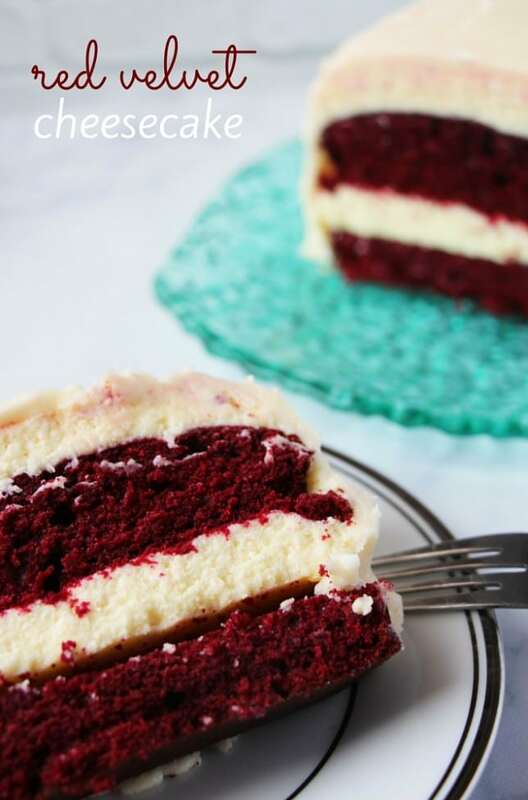 The classic red velvet flavor and color are gorgeous for Valentine’s Day or Christmas parties, and are sure to wow any guests you serve them to! Like any good cookie recipe, the dough should be refrigerated for at least an hour between whipping it up and baking. 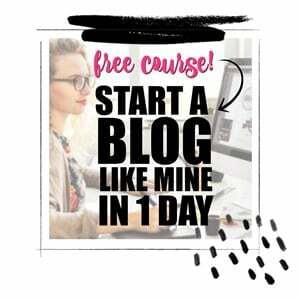 You could even leave it overnight, depending on how prepared you are! Vinegar and cornstarch might sound like odd ingredients to add to a cookie recipe, but the vinegar helps set the red food dye and the cornstarch helps achieve that crunchy-chewy contrast. Just trust me. You’re going to love these delicious red velvet cookies — enjoy! 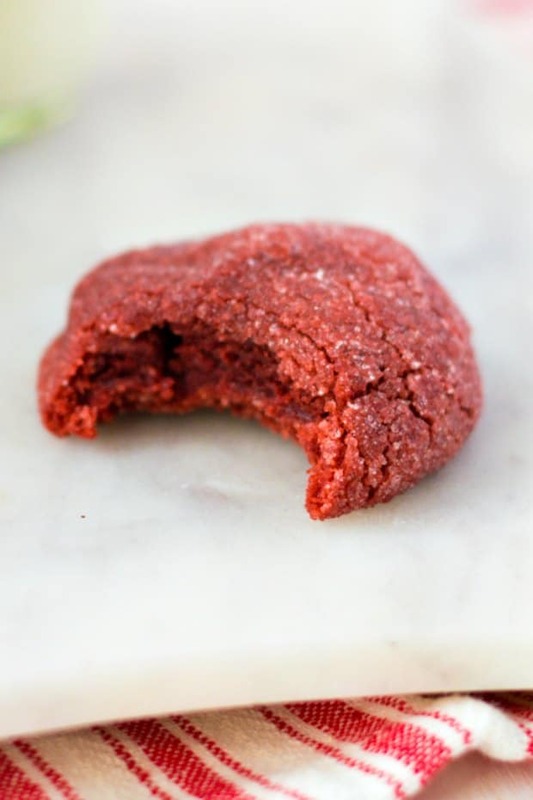 This fun recipe combines the great flavor red velvet in a cookie form that you will love! Combine flour, cocoa powder, cornstarch, baking powder, and salt in a bowl. Set aside. Blend the sugar and butter on medium speed with a mixer until light and fluffy, about two minutes. Add the egg, blend completely, then the vanilla, red food colouring, and vinegar. Place the cookie dough balls on a lined baking sheet and bake 8-12 minutes until spread and slightly firm to the touch. Remove from the oven, cool on the baking sheet for about a minute, and then remove to a cooling rack. 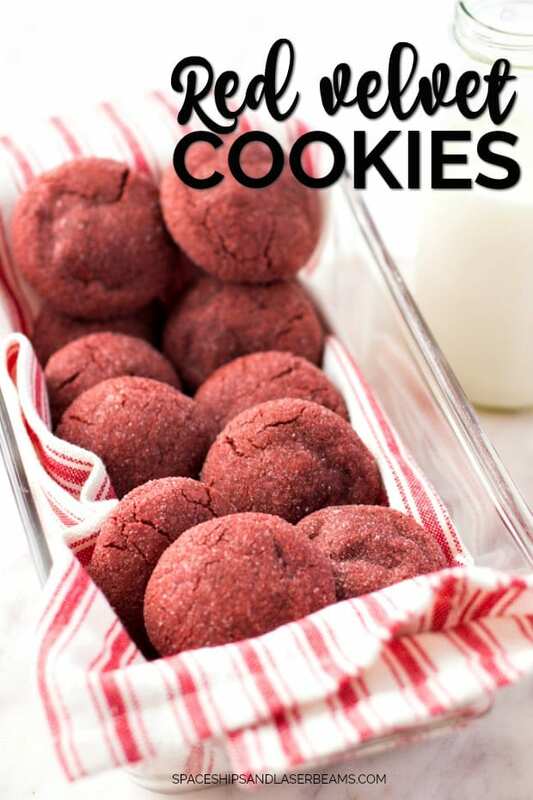 I didn’t even know that red velvet cookies were a thing… Now I am obsessed! The kids will love this cookies. But then the next recipe states 1/2 C butter, softened. Just thought you should know. I take that the 1/2 C butter, softened is correct. It’s 1/2 cup of butter! These cookies sound so good. Can hardly wait to bake some.